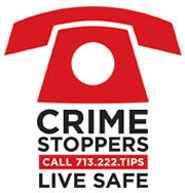 Crime Stoppers and the Houston Police Department’s Robbery Division need the public's assistance identifying the suspect responsible for a robbery by threat. On Sunday, May 6, 2018 at 8:20 pm, an unknown black male walked into the Timewise, located at 24549 Loop 494, in Houston (Kingwood), Texas. The suspect approached the clerk at the counter, leaned over and spoke softly with his hand behind his back and told her "give me all the money in the register, don’t make me shoot you". She asked if he was serious and he said "yes" and repeated it. The clerk stated that she never saw a gun but thought that he may have one since he had his hand behind his back. The clerk stated that she opened the cash register and gave the suspect all the money. The suspect then fled on foot. HPD case #572709-18. Suspect description: Black male, 45 to 55 years old, 6’00 to 6’02, 150 to 175 pounds, medium complexion, light colored pants and blue shirt.